As far as the current scenario is concerned, it is very difficult for a huge student population to make it to the limited seats of the IITs and the NITs. But there is a lot of scope for technological progress for the students who want to study in engineering. India has also become a special IT hub to the world, which means that the demand for personnel is much more than it used to be. The requirement to getting budding engineers in a good environment with pieces of equipment and infrastructure is met by many of the reputed Private Engineering Colleges. Then if you are unable to clear an AIEEE than you need not lose heart as there is still scope. The only thing is that one must have interest in the subjects and prepare well for their time in an engineering college. Subject matter knowledge matters in a career like this and private colleges also get well reputed faculties form government colleges and even from foreign universities. Private colleges have the advantage of college events, industry activities and exposure from international universities to meet the current industry needs. Therefore it is not at all a bad idea to invest time and money in a private engineering college. However, a person must be very selective about the institution they chose. As many private colleges are there but only a few are reputed enough for the students. The Birla Group Of Institutes is already a highly reputed Institution in the country and stands 1st among Top 10 Private Engineering Colleges in India and also in the field of education. The Birla Institute Of Technology, Pilani was established in the year 1964. They offer B.E Honours in the field of Civil, Electrical, Mechanical, Chemical and Computer Science. They have their own entrance test in BITSTAT. The International Institute Of Information Technology is based in Hyderabad which is an autonomous institution found in the year 1998 stands 2nd in our list of Top 10 Private Engineering Colleges In India. They offer B.Tech in Computer Science and Electronics And Communication. For admissions, they need JEE mains and AIEEE. BIT Meshra is the branch of Birla Institute Of Technology which is based in Ranchi and stands 3rd in Top 10 Private Engineering Colleges In India. It was established in the year 1972. It was also the first of it’s kind to get a Department of Space Engineering and Rocketry. Apart from regular courses in Btech, they also have Biotechnology and Production Engineering. The PSG College Of Technology was found in the year 1959 as an autonomous institution. The College has a respectable 4th rank in Top 10 Private Engineering Colleges In India. The candidates are eligible for admissions here as per the rules of government of Tamil Nadu. The Manipal Institute Of Technology is approved by AICTE and is also accredited by NBA. The Institute holds ISO 9001 and 14001 quality rating. It is the 5th best engineering college in the country. Thapar University was previously established as Thapar Institute Of Engineering and Technology in the year 1956 as an engineering college. The reputed college is famous for it’s postgraduate and undergraduate courses in the field of Science, Engineering, Management and Social Sciences. The Veermata Jijabai Technological Institute is one of the oldest engineering colleges in Asia. It was previously known as Victoria Jubilee Technical Institute which was found in the year 1887. 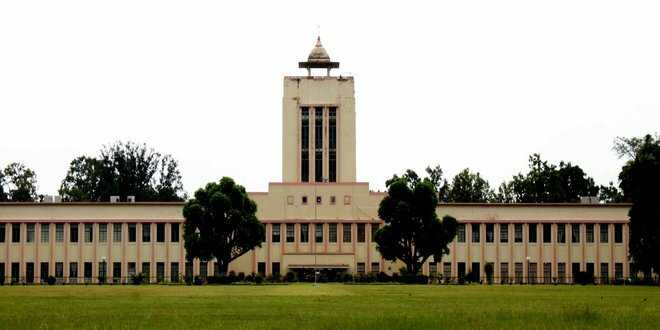 The Rashtreeya Vidyalaya College Of Engineering was established in the year 1963. It still remains one of India’s top engineering colleges. It is accredited by AICTE and NBA. It has 11 departments in the field of engineering. The Nirma Institute Of Technology was previously affiliated with Gujarat University. Later it became a University on its own. The college requires JEE ( Mains ) for admission. PESIT Bangalore was established in the year 1988 and is affiliated to Visvesvaraya Technological University. It has gained an autonomous status since the year 2007. They offer engineering in 8 fields including Biotechnology and Telecommunication Engineering. The ideal B.Tech course consists of 8 semesters over a period of 4 years. Students must be very careful while choosing their field of specialization as it must yield to their career and cater to their interests for a long time to come.